Coachies are perfect to use in reward based training. The semi-moist, heart shaped treats are highly palatable and don’t break up in your pocket or treat bag. SHORT DATED - Coachies are perfect to use in reward based training. The semi-moist, heart shaped treats are highly palatable and don’t break up in your pocket or treat bag. Coachies Natural are super tasty, so your dog will love them. Low in carbs, they are kind to his waist but still packed full of good stuff! SHORT DATED Feelwells Meat Crunchies Dog Treats are made from 80% freshly prepared and steam cooked Chicken, Duck & Turkey with Rice. These yummy chocolate drops contain added vitamins, making them a great complementary snack to a well-balanced diet. Harringtons Chicken Rolls natural healthy treats containing no artificial colours or flavours, no added sugar, no soya and no added wheat, suitable for all dogs from 8 weeks old. Harringtons Salmon Rolls are a complementary pet food suitable for all dogs from 8 weeks old. Hill's Ideal Balance Soft-Baked Naturals with Chicken & Carrots are delicious, all-natural dog treats with real chicken to help maintain lean muscle. Grain free with no corn. Iams Minis with beef & apple are tasty, chewy morsels that are ideal for training your dog with or simply giving them a healthy snack. Iams Minis with Chicken & Carrot are tasty, chewy morsels that are ideal for training your dog with or simply giving them a healthy snack. Iams Minis with Lamb & Cranberry are tasty, chewy morsels that are ideal for training your dog with or simply giving them a healthy snack. Cracker Jacks don't contain any beef, pork, wheat, gluten or dairy products which may cause some food allergies in dogs. Nutritious Raw meat nuggets simply freeze dried to lock in nutrients and flavour. 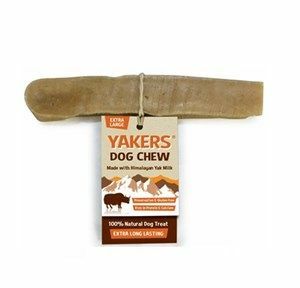 Meaty treats easy to pop into your pocket for an odd treat when out walking, training or playing games. Pet Bakery Puppy Chicken Bones are the perfect treat for growing puppies. These delicious crunchy shortbread biscuits are made with real chicken and milk. A complimentary meaty strip treat. 80 per pack. They can be easily broken up to feed as mini training treats. The bone shaped biscuits with Chicken can be fed as a treat or training reward or as a delicious accompaniment to your dog's main meal. . The bone shaped biscuits with Liver can be fed as a treat or training reward or as a delicious accompaniment to your dog's main meal.